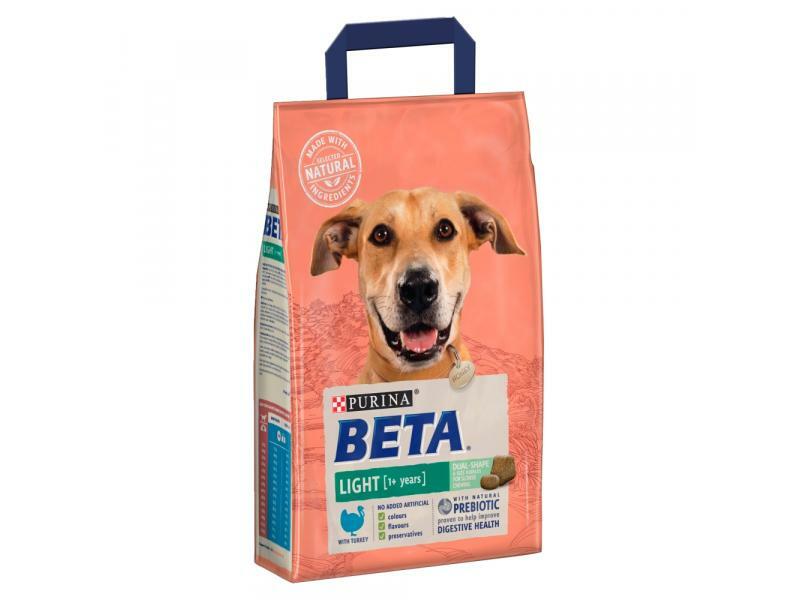 PURINA® BETA® Adult Light is a specially formulated 100% complete dry dog food designed for overweight dogs. It's been tailored with balanced nutrition to encourage and help your dog reach a healthy body weight without compromising on taste and food enjoyment. Our light formula includes 20% less fat compared to our Mature Adult dry dog food, helping to reduce fat accumulation and includes all the essential nutrients required during weight management. Added beet pulp helps to regulate intestinal transit, while the dual kibble size helps increase meal duration as it encourages your dog to chew. We are sure your adult dog will enjoy mealtimes with our delicious recipe and also help him loose weight at the same time. With correct nutrient absorption and delivery of a good level of energy during weight management. Contains 20% less fat (vs adult) for healthy weight management. Correct balance of protein and fat to support good body condition during weight management. With beet pulp to help improve stool quality and regulate intestinal transit. Dogs with a healthy appetite, despite living an active and curious life, can be prone to gaining some additional weight. That's why our PURINA BETA® tailored nutrition Light food provides all the nutrition he needs. It is made with a lower level of fat to help your dog maintain an ideal body condition, so he is fit and ready to explore his world! It is also specially formulated with selected natural ingredients and a natural prebiotic to help support digestive health. And all this without including any added artificial colours, flavours or preservatives. 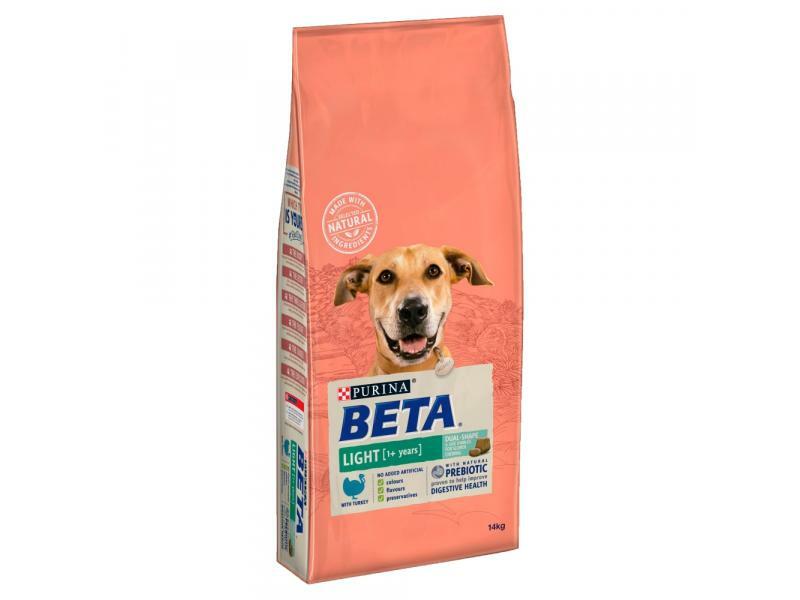 There are currently no questions for PURINA BETA Light With Turkey Dog Food - be the first to ask one!